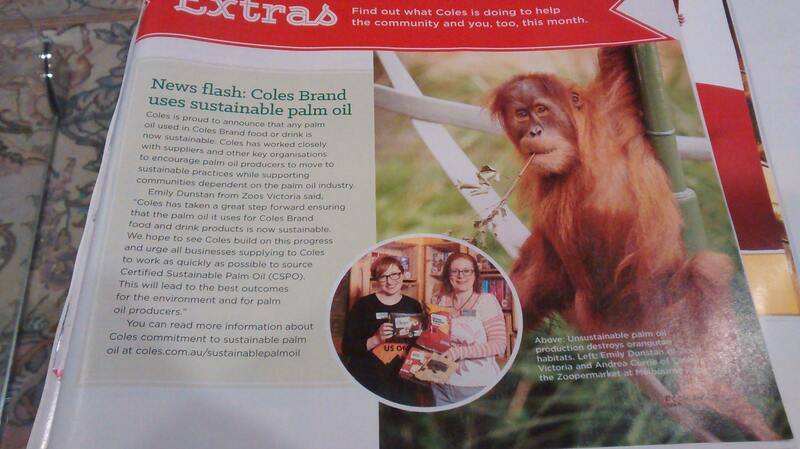 Coles is now using sustainable palm oil in all of its Coles brand products. ~ by em0navari on May 14, 2015. This entry was posted on May 14, 2015 at 11:09 am and is filed under Eating, Ethical Shopping, Shopping.You can follow any responses to this entry through the RSS 2.0 feed.You can leave a response, or trackback from your own site. Next: Childhood adventures to save the planet!